The weekend is concentrating on its tan. 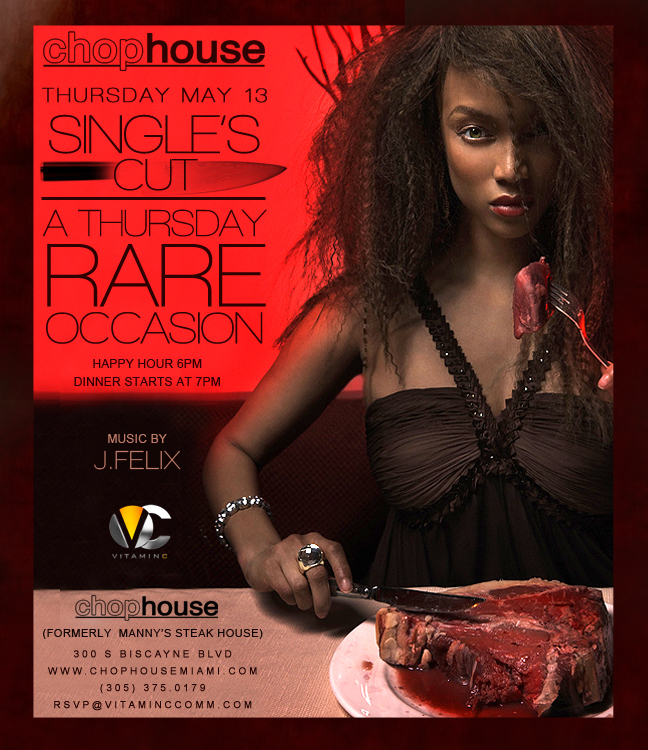 Chophouse Miami launches a weekly dinner party tonight whereby $36 gets you three courses like an eight-ounce filet, Kobe sliders and key lime pie. And because tonight's the kickoff, ladies drink gratis champagne and vodka cocktails from 7 to 9pm. Plus, we hear there'll be a 20-seat communal table teeming with local models. Local blogger Burger Beast is abandoning his laptop and taking over Jonathan Eismann's rib joint on Monday for a night of seared-beef insanity. There'll be nine specialty burgers for you to choose from, headlined by the Ultimate Bacon Cheeseburger, made with beef and andouille sausage wrapped in bacon and stuffed with cheddar. Brazilian designer Oskar Metsavaht (such a Brazilian name) has a new boutique called Osklen that's full of clothes great for warm weather—think linen slacks, light-colored button-downs and T-shirts that say "Samba." And this Wednesday you can browse the merch with a complimentary cachaça cocktail in your hand. Here's a way to conquer your midweek slump: this Wednesday, the pizza bistro Maitardi is throwing a party on their patio. You'll sip complimentary prosecco in the courtyard while roving models outfitted in nothing but Cosabella swimwear distract you from your workday troubles. There'll also be a Maserati near the bar, just because.